The Israel Defense Forces have uncovered another network used by Palestinian group Hamas to gather intelligence by posing as attractive young women on social media sites: Instagram. The Jerusalem Post revealed the find on Tuesday, citing the IDF's Information Security Department, which was only recently engaged in an awareness campaign called "Operation Broken Heart" about the practice. "This is a network in which the culture of sharing is paramount and where everything revolves around pictures and ‘see me,'" an IDF colonel identified only as Lt. Col. A told the Jerusalem Post. According to the Jewish Press Agency, Hamas users created fake accounts on Instagram and used them to start friendly conversations with IDF soldiers, encouraging them to follow a download link to a fake application that would allow the Hamas operatives access to their phones with a virus. Hamas is a Palestinian, Islamic, anti-Zionist party that has governed the Gaza Strip since 2006. Numerous countries, including the US and Israel, classify Hamas as a terrorist organization. Once inside the soldier's phone, the Hamas operative had access to all pictures, text messages and contacts kept on it, as well as the phone's location. The virus enabled them to download these files, access the phone's camera and microphone, take pictures and record conversations, all without the soldier knowing about it, the Jerusalem Post noted. "Popularity and the need to follow back increases the risk" for soldiers, Lt. Col. A noted. They cautioned soldiers not to download files or apps sent to them in links and to be suspicious of interactions online, especially when the other party cannot meet in person. "We want to make it clear to the soldiers that even if Hamas adds additional applications and infiltrates additional platforms, once we identify them, they will not catch up with us," the intelligence officer said. 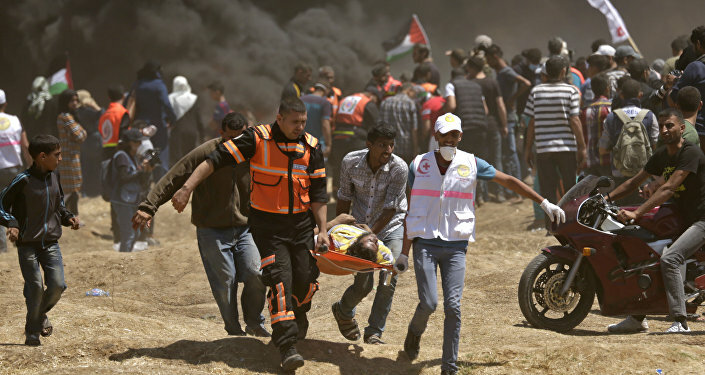 Dan Cohen, a journalist and documentary filmmaker whose work can be found at KillingGaza.com, told Sputnik Tuesday that "Hamas' use of social media for information warfare should come as no surprise," given how much Israel uses social media to monitor Palestinians and create pretext for jailing them. "The Israeli military's Unit 8200 is the largest in the military and is devoted to collecting personal information that can be, and often is, used to compel Palestinians to collaborate," Cohen said. "Hamas' efforts pale in comparison to Israel's, and what's good for the goose is good for the gander." The IDF first identified Hamas' use of this tactic in January 2017 in operation Hunter's Network, operating primarily on Facebook. Before this, the most recent Hamas operation of this type was identified in early July.